These cookies have been on my “to make” list for a long time! However, I rarely have toffee bits in my pantry (I tend to eat them straight from the bag when I do have them around). Luckily this week I happened to have some leftover sugar cookie dough and I knew it was time to try these cookies. How have lived without these cookies?!?! 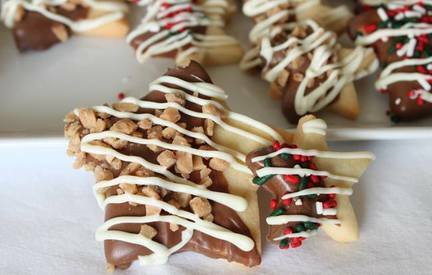 I’m afraid I might just have to keep the toffee bits around so that I can dip all my leftover sugar cookies in chocolate and toffee!